Easy backyard garden landscaping ideas for the DIY gardener. 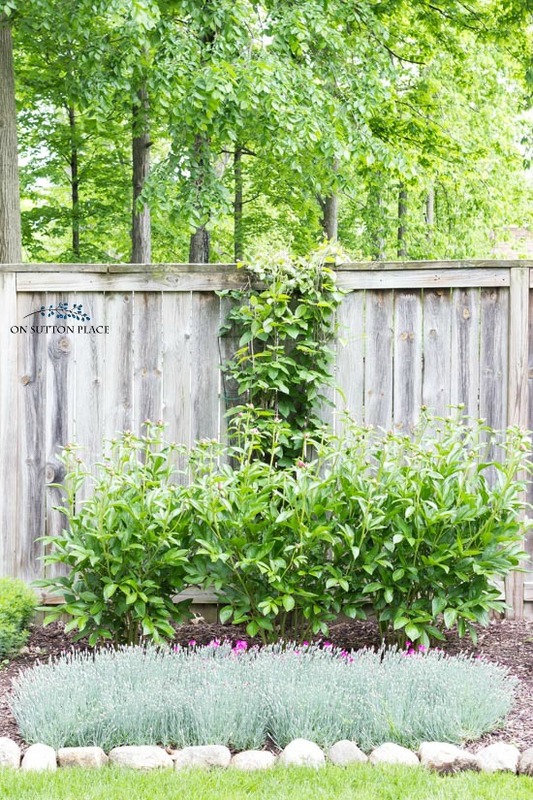 Includes inspiration for planting a garden along a fence and hardy perennial plant ideas. Now that spring has definitely sprung, I have been wandering around the backyard trying to decide what to plant and what to take out. So far, I have a very long list of things to plant and nothing on the list of things to take out! My perennial garden looks a little bare and definitely needs some attention. For some reason, I lost all my black-eyed susans and shasta daisies. I’m not really sure what happened, but last summer they just didn’t come up. Because I was so discouraged, I filled in with annuals, laid some mulch and called it a day. The past few weeks of nice weather have renewed my spirit and I’m ready to revive this sad patch of ground. The peonies, dianthus, sedum, coreopsis, phlox, and lavender look good. Nothing is in bloom yet but the buds look promising. I have some ideas for new additions and will report back when I’ve got plants in the ground. 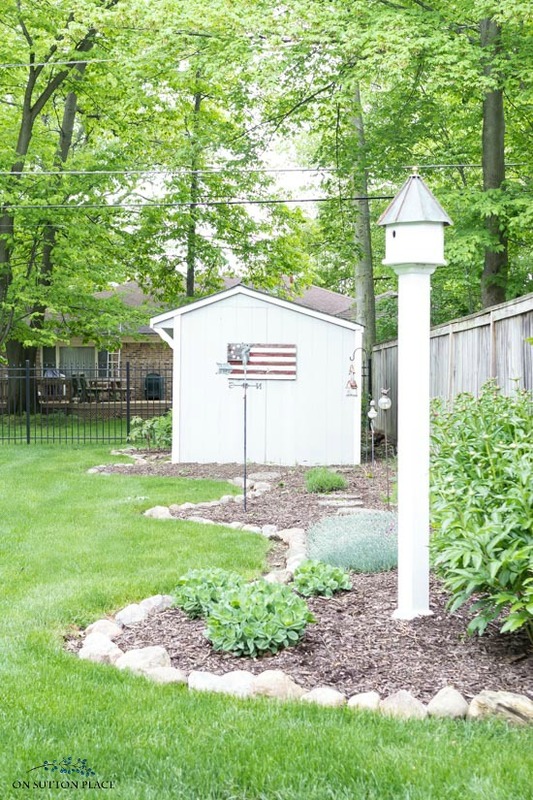 If you happen to be in the same boat, or have a backyard that could use a face-lift, here are some ideas that will help! A rock border is the perfect way to add a curvy edge to your garden. I had to buy some of my rocks, but if you can find them in a field, this method would basically be free. It takes a bit of maintenance to keep the rocks level, but the end result is worth a little extra time. Curvy borders add interest and they make the garden edge flow. If you visit the rock border post, you will see how different my garden looks now compared to four years ago. My goal is to get that full and fluffy look again, complete with abundant blooms. 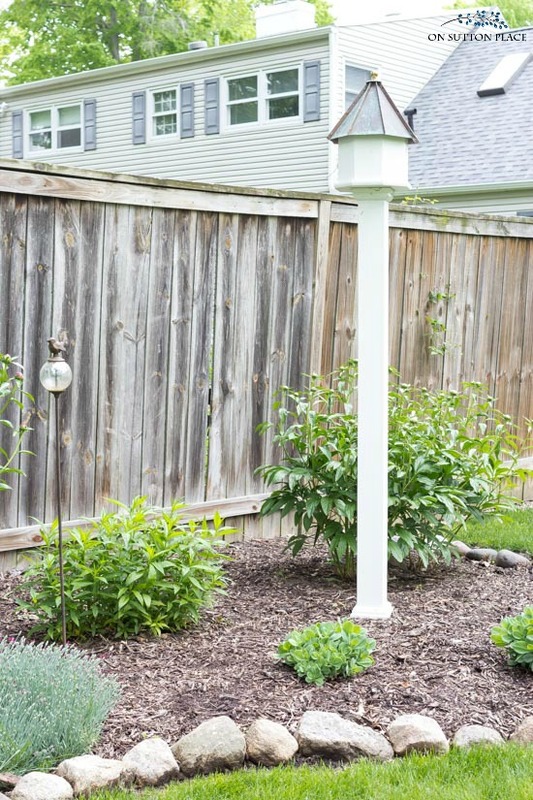 Adding something unexpected is one of the easiest backyard garden landscaping ideas there is. Any piece of garden art that reflects your interests or tells a story is perfect for your garden. I personally think that the sky is the limit when it comes to garden art in your backyard. I try to be a little more conservative in the front yard, but the backyard is just for us and anything goes! At one time or another, I have successfully grown all the plants found at the link below. 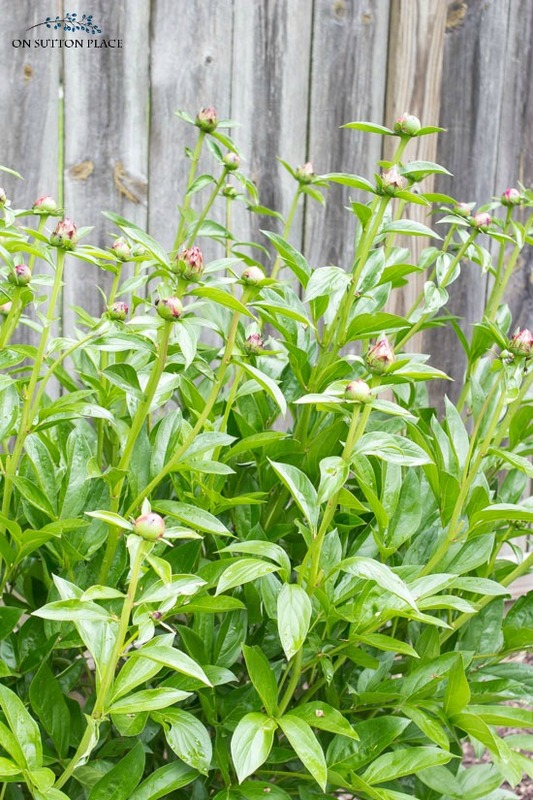 These plants are hardy and very low-maintenance. Plant them in any combination that pleases your eye, but be sure to pay attention to sun requirements. I hope to share our backyard garden more often over the summer. Last year was disappointing and there really wasn’t much to share. Hopefully this year will be different. Thank you so much for stopping by…see you soon! *Affiliate link included. Click HERE for my disclosure statement. Thanks for the garden inspiration. I too lost my Black Eyed Susans last year. Love your flower garden. Miss your Black-eyed Susans. I love peonies. My parents had rows of them in our backyard when I was young. Any particular brand to purchase? Also, your lavender, do you keep it in pots or is it planted in your garden? Hello Ann, I know that it ‘s discouraging to lose some plants but My friend had the same problems with shasta daisies and his back-eyed susans so you’re not alone … wish I knew what’s causing that problem. My problem this year is that crows are destroying my back yard. I have a problem with moss so I apply lime but the crows have pick apart half of the lawn pulling grass and moss. I watch them in action. First, I didn’t know what was happening to the lawn. I am discouraged. I read that crows are looking for grubs. Have you heard of that problem? I think that your backyard looks lovely with the stone border. All of my black eyed Susan’s and daisy’s were eaten by the deer, not to mention my hostas. THere isn’t much they don’t eat, including bird seed from the feeder. Very discouraging. I have daisies in several areas of my yard, and they’ve always come back until this year. A large group of them from in one bed just do not exist any more even though they bloomed beautifully last year. My Black-eyed Susan only came back for a couple of years before they disappeared. Seems strange. 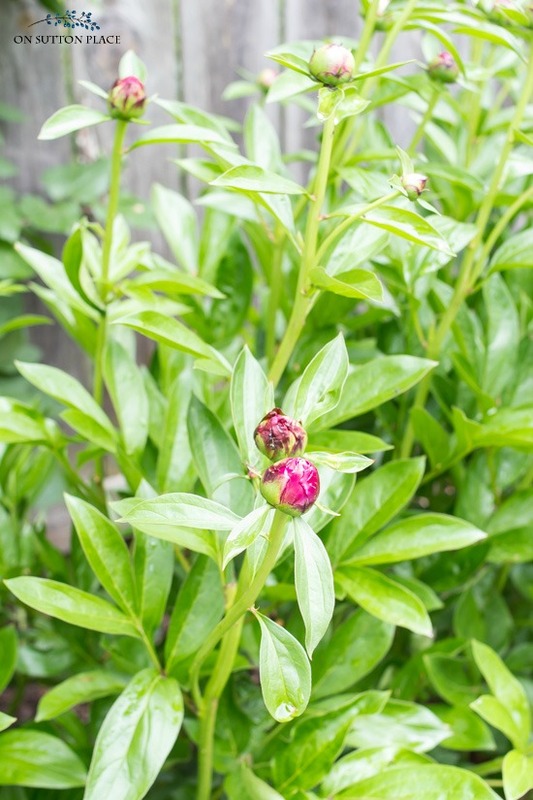 What is the plant you have growing on the fence? Love your posts. You have such a beautiful, warm, inviting home and yard. That is so weird. Last spring/summer my black-eyed Susans didn’t make a good showing. They used to be so full and beautiful. I just had a few. I see little plants of them coming up this season but I planted a few more plants to get them going again. I also planted some shasta daises this year. I hope they do well. I look forward to seeing what you add to your bed this year. I love your writings about your Garden and the pictures are beautiful. It’s like having a lovely visit with a dear friend. I think you need to add Daylilies . They are great plants ,so many varieties to chose from and the foliage is lovely after they are finished blooming . Iris too they are great backbone plants for the garden. Hope you have terrific fun in your garden. So sorry your Shasta daisies and Black-eyed Susans did not return. That happens to me on occasion, with some plants. I do have a few suggestions. One thing that always returns for me year after year, regardless of weather, is yarrow. I just love the fern-like leaves and the flowers are pretty, very long-lasting, and they dry beautifully. Also, have you considered daylilies? I have dozens of different colors/varieties of these, and they are beautiful and bloom for a very long time throughout the summer. Their long-lasting green spikey foliage will help provide that full and fluffy look that you want. Good luck for a better growing season this year! PS I will try to send you a few photos that I took on my phone. :) God Bless! Beautiful, thanks for the helpful information. 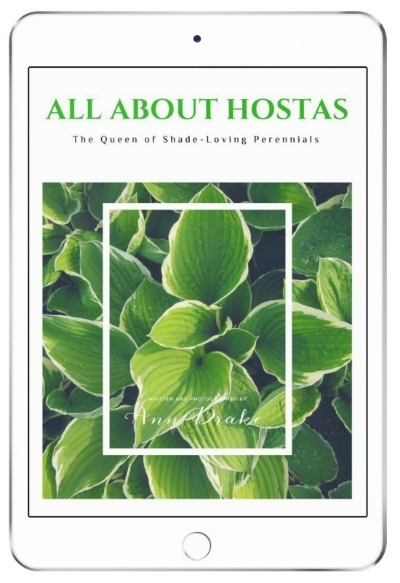 I love both Hostas and Perennials. I am so surprised that the black eyed Susans and Shasta daisy did not return to your garden. Usually it’s the dianthus or coreopsis that are the problem, at least it is so in my garden. There are so many lovely perennials to choose from I’m sure you’ll find something to love. Your garden is beautiful as is and so well cared for. I love your ideas. Can’t wait to see what you come up with. I love beautiful flowers in landscaping but find it a challenge here in central Florida.The deer eat everything including decorative grasses and plants get some sort of fungus and die.I have taken to spraying with a deer repellent which seems to help.I am going to try adding geraniums and see how they hold up. Good luck to you with your planting,I’m sure it will be beautiful. I can sympathize. I live in Ohio as well and only a few of my Stargazer Lilies came up this year. We lost half of our dianthus to the winter. And the construction of our home addition took out seven mature boxwoods, two burning bushes and a large evergreen shrub that was taller than our garage not to mention quite a large portion of our grass. We’ve spent the past weeks planting grass, replanting grass, as well as flowers, ornamental grass and bushes to replace what we lost. We have a long privacy fence along one side of our yard similar to yours and the past two years I’ve planted zinnias there. They are easy to grow from seed, bloom like crazy all summer and into the fall and provide a nice spot of color along the fence. However, as I get older I’m thinking of switching to perennials. Good luck with your garden and I look forward to seeing the photos. Just an idea but you may want to zoom in to the local Agricultural office and have your gardensoil tested before adding more plants where the others failed. Well, if this isn’t a timely subject. I live in the woods. Every errant seed and pod roost in my beds. Maintenance is a nightmare so over the years we have narrowed our vision. With the deer and other wild animals as neighbors we also need to find resistant plants. That said, I took bids this year to have a professional landscaper come and do the heavy work. The cost was as much as our original mortgage! So, back to square one. I have had mixed results with perennials. I am looking forward to your posts for inspiration:) I have discovered that MY deer do not like coleus, so there will be lots of coleus! We seem to be on the same with our backyard gardens. My area is a bit ahead of your s.
I have great ideas but don’t seem to get them done. I always need inspiration. And time. Don’t get discouraged about your garden. It is never like the pictures you see in the magazines. I have been gardening for more years than I care to count and every year is different. Plants come and go and it seems to be serendipity where some will pop up. This year I have beautiful red poppies but no verbena . My Black eyed Susan’s are beautiful but no sign of Shasta Daisies. I just go with the flow and rely on containers to fill in empty spaces. Just have fun. You’ve got a great base, Ann, though I know how discouraging it is to lose established plants. I can’t wait to see how this looks in a few months, I’m sure you will make it lovely again!